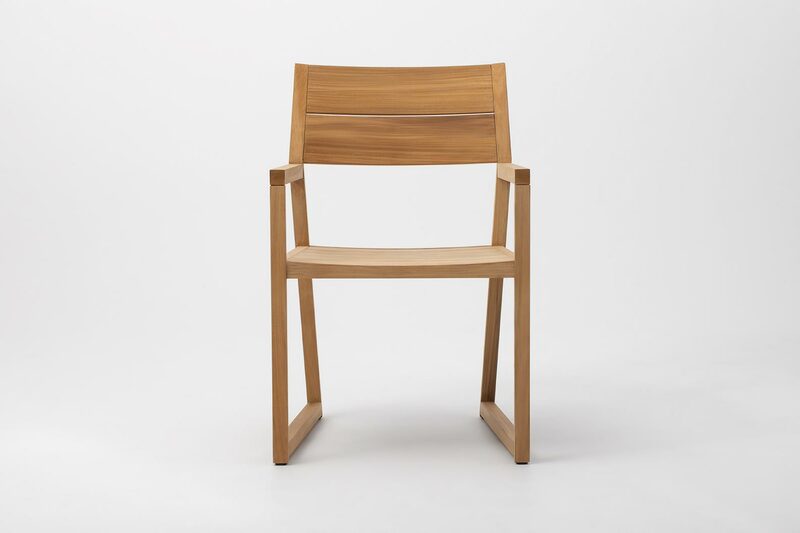 The Axis range includes dining and low chairs, occasional tables and three sizes of dining table, including an extendable version seating up to 12 people. 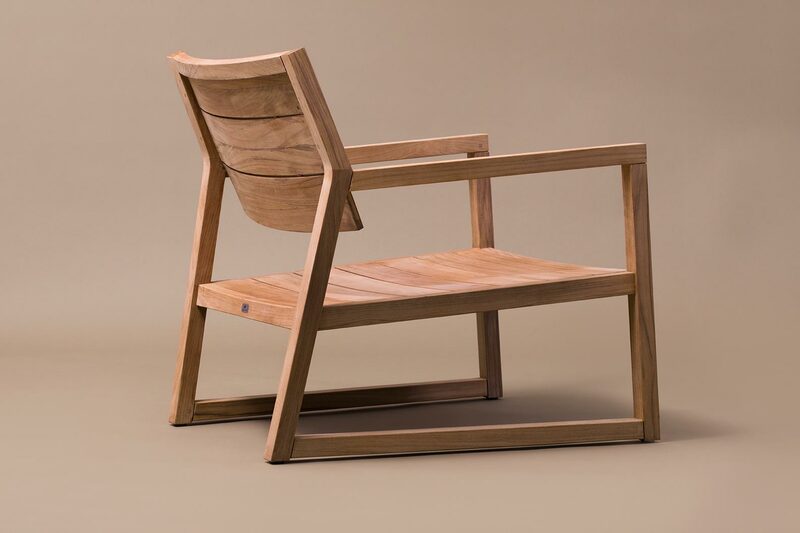 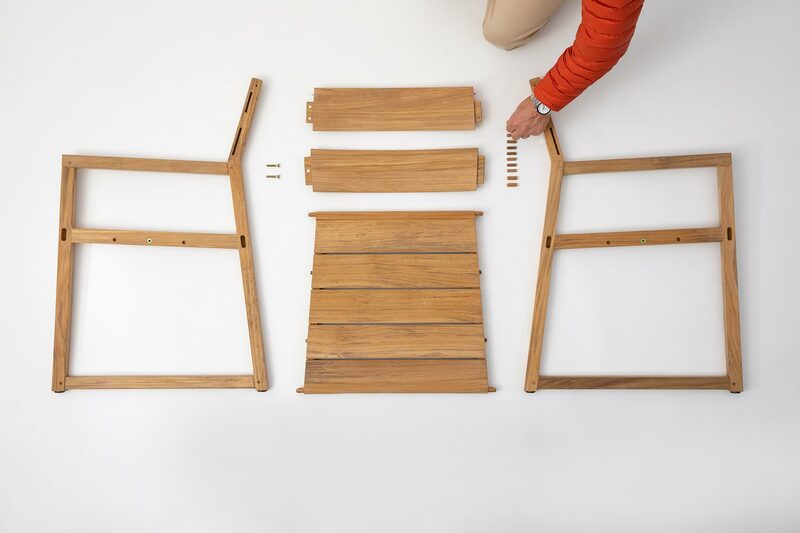 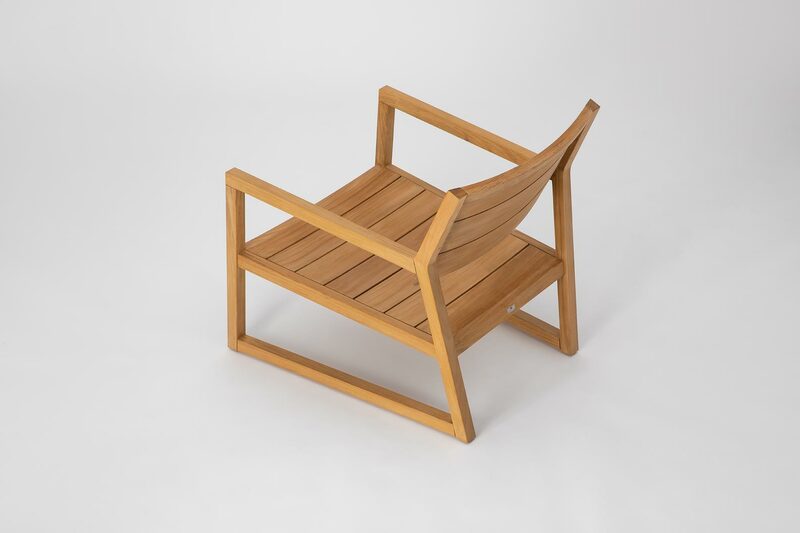 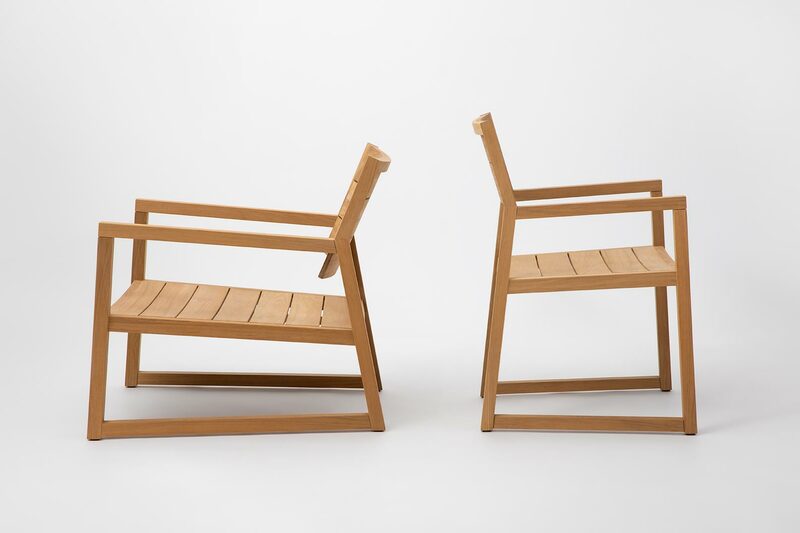 Axis represented a new design aesthetic for outdoor teak furniture when it was launched in 2009, and also met the specific and extreme constructional demands of this typology, including the ability to be flat packed and customer assembled. 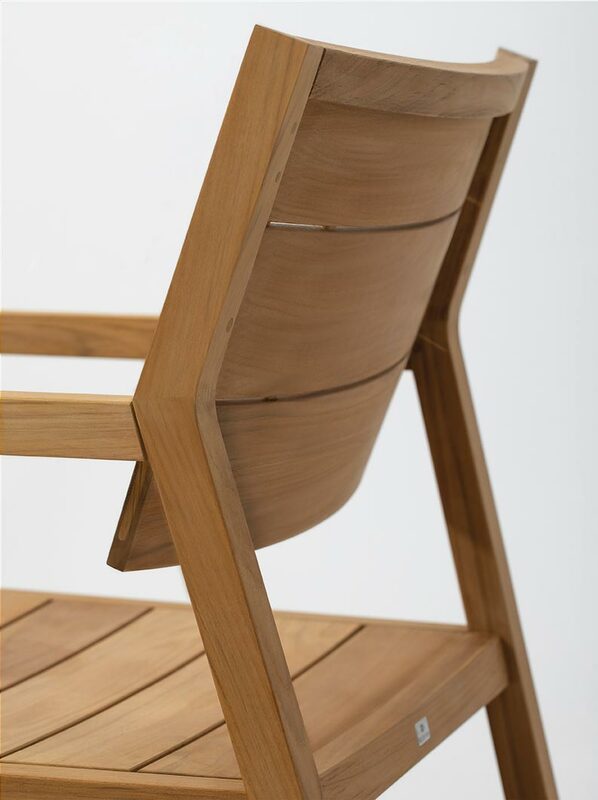 The design of the dining chair is based on a trapezoid, the slender frame section being achievable as the result of the natural strength of this structure. 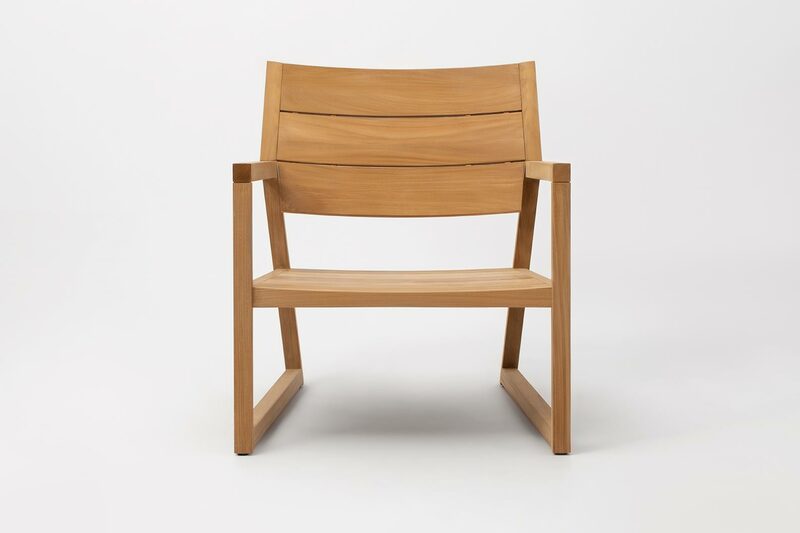 This is balanced by the considered use of generous solid teak sections for the back and seat, which convey comfort, strength, solidarity and quality. 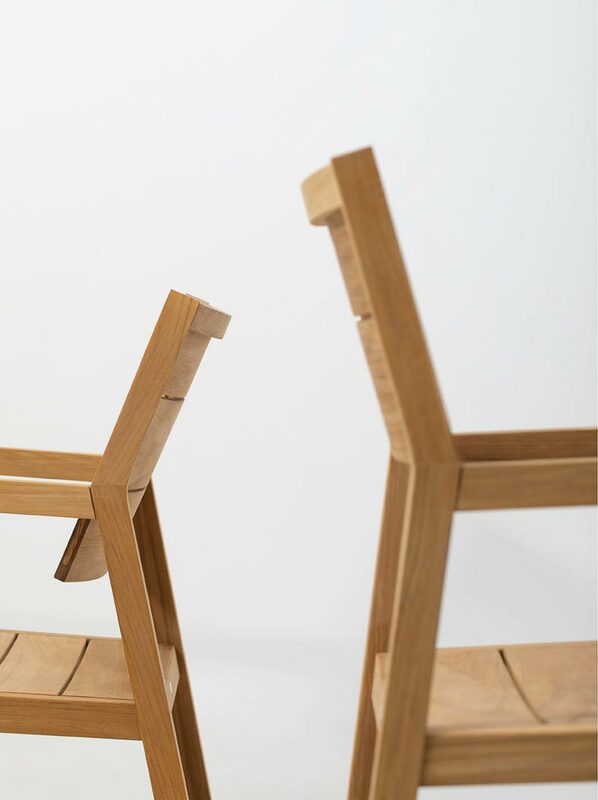 This angularity is carried through to the tables where it allows perfectly for maximum leg room.